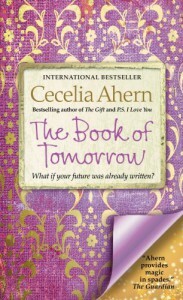 The Book of Tomorrow is a book about family, friendship and about living your own tomorrow instead of following others footsteps. It's a book about secrets, and of finding the truth, which doesn't turn out to be anything you expect it to be half way throughout the book. It's a good ending. And I feel like there's not much more to say about it, because you would have to read it yourself to fully apreaciate the book.